The South Coast Winery Tour is one of our most popular tours not just for the wineries themselves, but also for the stunning drive to get to the wineries. 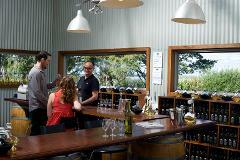 Enjoy wine tastings, lunch at a local cafe and discover this magnificent region. There is no better way to see Sydney Harbour than from the water. Our City Sights and Harbour Sailing tour will take you to places in the Harbour that only locals know about. Discover Sydney like a local and enjoy a day discovering the City sights and the beautiful Northern Beaches including Manly which is one of Sydney's most vibrant seaside suburbs. Our luxury private City & Eastern Beaches tour takes in all of the iconic sights such as the Sydney Opera House, Harbour Bridge and of course the famous Bondi Beach. See Sydney like a local and enjoy a delicious lunch at Bondi Beach. Manly is one of Sydney's most vibrant suburbs. Our half day tour today starts with a walking tour of The Rocks followed by a short ferry ride to Manly where you will discover incredible beaches, cafes, restaurants, and so much more.